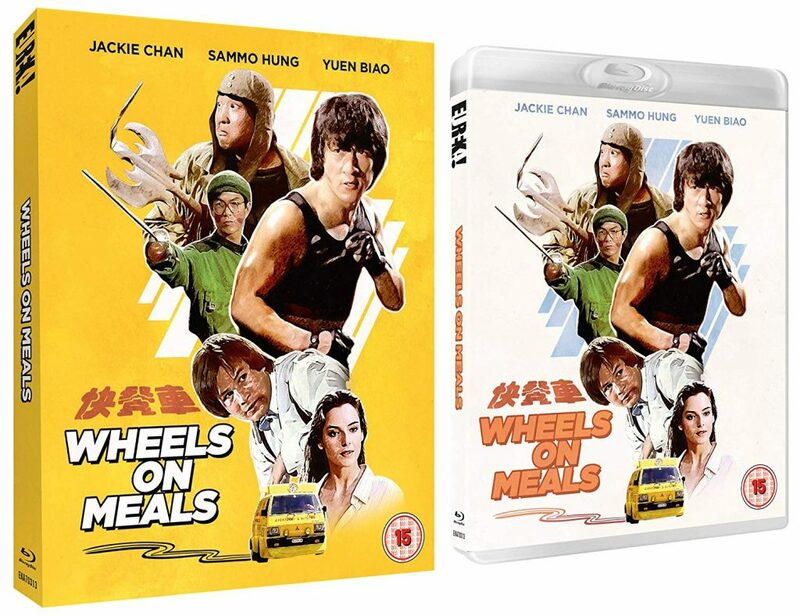 Fans know of the films the 3 Dragons, Jackie Chan, Sammo Hung and Yuen Biao did together and one of ther most popular of them, Wheels on Meals has got a new remastered Blu Ray special edition just released in the UK. Set in Spain the film concerns fast food chefs Thomas (Chan) and David (Biao) who find themselves in deep trouble when friend and detective Moby (Hung) involves them in the case of a missing heiress on the run from a local crime syndicate. The three need all of their daring and physical dexterity when they find themselves facing a triple helping of danger. 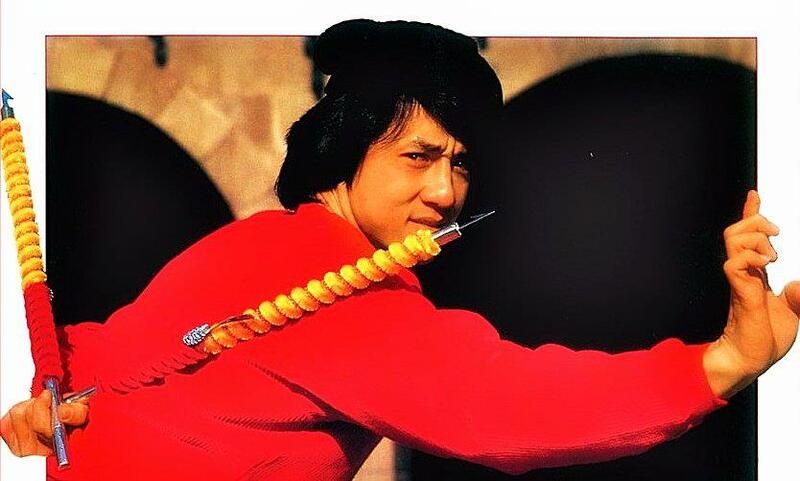 Sammo Hung who directs the film always makes Jackie Chan look his best when he is directing and they are all on top form in this film. Giving it a fresh look by shooting in and around Barcelona it moves at a very swift pace with lots of physical comedy in between the fight and stunt action. 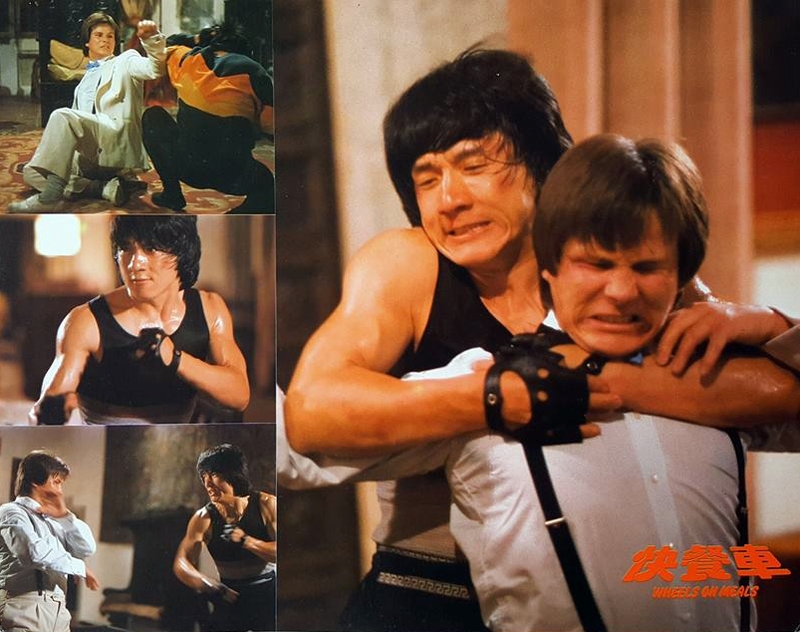 Talking of action, this contains one of the best one on one fights in Hong Kong cinema when Jackie Chan faces off against undefeated Kickboxing champion Benny Urquidez. (He would fight him again in the later Dragon’s Forever). It is shot and edited in a way to show both men at there peak and is the highlight of an altogether very enjoyable if at times silly romp. 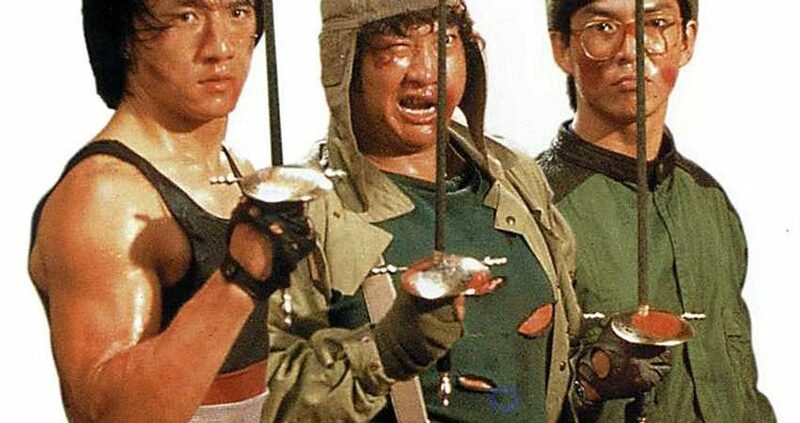 The film had a good DVD release some years ago in the UK by Hong Kong Legends but here Eureka has given us a new 2K remastered HD transfer and it looks fabulous. Crisp and clean with film grain intact it has never looked better and far ahead of previous Blu ray releases in Hong Kong and Japan which were poor upscales. Audio gives you a massive six choices, original Cantonese audio track, available in both original mono (LPCM) and newly restored DTS-HD MA 5.1, optional English audio from the film’s international release, featuring an alternate music soundtrack, available in both original mono and 5.1, alternate English dub track from the films 2006 DVD release and finally a custom audio option featuring the original Cantonese dialogue track, but mixed with the alternate soundtrack from the international release. This is one of the few Hong Kong classic movies where I prefer the original English dub, it seems odd everyone in Spain speaking Cantonese and although they would not all speak English either, it fits the film slightly better and the dubbing track is done quite well. The soundtrack music is also much better and funkier.